There's a new buzz powering public buses in London. 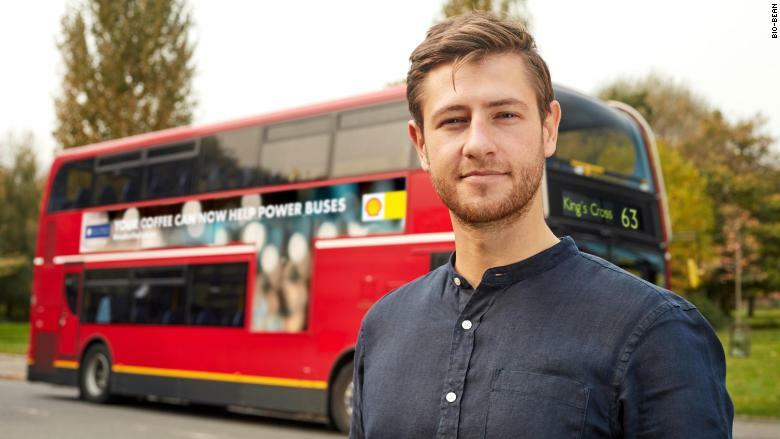 British startup bio-bean has partnered with Shell (RDSB) and Argent Energy to create a coffee-based biofuel that will be used in London's diesel buses. 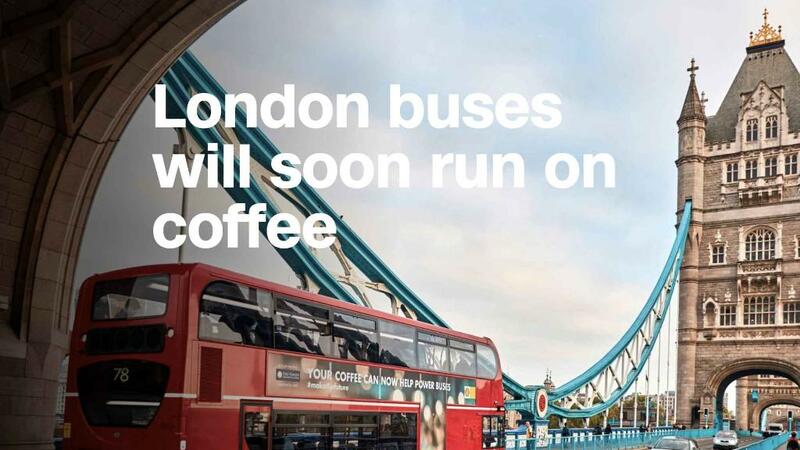 The company has produced 6,000 liters of coffee oil for the pilot project with London's transportation authority -- enough to help power the equivalent of one city bus for a year. "It's a great example of what can be done when we start to reimagine waste as an untapped resource," bio-bean founder Arthur Kay said in a statement. The startup collects used coffee grounds from cafes, restaurants and factories, and transports them to its recycling facility. There, the grounds are dried before coffee oil is extracted. The coffee oil is then blended with other fuels to create B20 biofuel, which can be used in diesel buses without modification. "Spent coffee grounds are highly calorific and contain valuable compounds, making them an ideal feedstock from which to produce clean fuels," the company says on its website. Bio-bean founder Arthur Kay helped develop coffee oil that can be used to power buses. Bio-bean estimates that Britain produces 500,000 tonnes of coffee grounds a year, most of which are discarded in landfills where they can emit harmful greenhouse gases. The company also sells "coffee logs," which are used in fireplaces and stoves as an alternative to wooden logs. Bio-bean said there is "no formal agreement" to continue using its coffee oil in London, but it hopes to quickly find new markets and applications. "There is huge potential for this project to expand in the U.S., which drinks the most coffee on the planet, 400 million cups of per day," the company said in a written statement.